Argumentative | Sana Ako si Ricky Lee! The past few posts I talked about the 2012 Feng Shui Chinese Zodiac Forecast for the 12 Animal Signs – RAT, OX, TIGER, RABBIT, DRAGON, SNAKE, HORSE, SHEEP / GOAT, MONKEY, ROOSTER, DOG, PIG / BOAR. However, it is important to know that your luck for the year is not solely determined by your animal sign because it is equally important to look at the place where you live and where you work. Your luck is also determined by the Flying Stars of your house/office. First, what are Flying Stars? Flying Stars or Xuan Kong is basically a discipline or branch of Feng Shui that studies the annual movement ‘stars’ or chi of a location that may affect your profession, health, career, finance/wealth, physical energy, psychological energy, spiritual energy. In Feng Shui the energy of your house and of your workplace is as important as your animal sign. The truth is Flying Star is also applied to the village, town, barangay, municipal, city, country and for the really good ones they can actually foretell the ‘fortune’ of the country by applying the Flying Stars concept in the world map. The founder of Flying Stars assigned a specific number to each of this energy, and succeeding generation assigned a name depending on the effects of this energy. The name may vary a little from one Feng Shui consultant to another but they’re basically the same. It is also important to understand that the Tai Sui (Tai Suey) God and the 3 Killings are not part of the Flying Star concept. However, in discussing and determining the Flying Star of the house we include both the Tai Suey and the Three Killings in the equation because they also occupy the one of the nine squares in the Lo Shu Square. The nine Lo Shu Square are – EAST, WEST, NORTH, SOUTH, SOUTHEAST, SOUTHWEST, NORTHEAST, NORTHWEST, CENTER. To understand more about the Flying Star, I suggest check out Wikipedia. The offer a brief but clear explanation of the Flying Star. They’re also a lot of books that solely deal with Flying Stars Feng Shui. Effects: Romance luck is heightened if your room is on this side of the house. For single people, you might have the possibility of finding love. For partnered people, you might find your love getting more ‘fragrant’. However, for married couple the effect might be too fold – First, you might find yourself loving each other more deeply, but, there might be the possibility of a third party getting involve also. It is also called the Scholastic Star because it also has a good effect on Scholastic pursuits of a person. Meaning, students may become more studious, and professionals might find themselves understanding documents better. 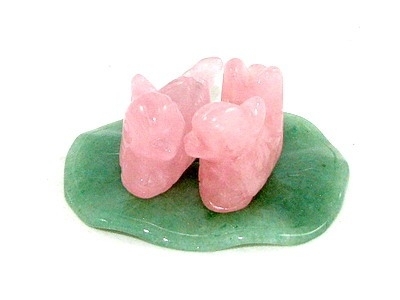 Feng Shui Enhancer: For single persons you can put a Rose Quartz Mandarin Ducks on your bedside. For married couple, you can hang the character of the Double Happiness on your headboard. To safeguard yourself from a third party, tie an Amethyst Geode with Red String on the foot of your bed. Feng Shui Tip: Do not put too much water features on this side of the house this year because it might cause sexual scandals or promiscuity. Effects: This star or chi or energy brings luck to all your endeavors. Feng Shui Enhancers: Victory Banner / Horse. Effects: It sets the ‘tone’ for the year. Meaning, if you continuously to do good the more blessed you’re going to be. This also means even if you’re Animal Zodiac luck is not so good like the Dog, you will continuously have help from Heaven (Buddhas, Deities, Bodhisattva or Saints). This also means that you’ll be lucky enough to have people who will help you to achieve your goal. Effects: It gives you abundance and ‘bottomless’ pocket. This star is not just about money wealth but this is also about abundance. NOTE: To know more about the Monkey God Sun Wukong, read my post about ‘The Great Sage, Equal to Heaven’. Effects: This is neither a good or bad star. It only means that whatever you ‘sow’ so shall you ‘reap’. This basically multiplies whatever karma you accumulate. If you do more good things you’ll have more good luck in the future, but if you continue to do a lot of bad things, you multiply your negative karma as well. Using the Feng Shui tools mentioned above you can enhance the auspicious stars but all Feng Shui consultants/experts will stress that it’s more important to subdue the negative stars/chi/energy of the Flying Stars. If you’re on a tight budget, you need to subdue the negative stars first before you enhanced the auspicious ones. Effects: This star brings hostility and loss through robbery, theft, or even manipulation. This star also directly affects the Patriarchs which means it affects the leaders as well. This means they may face danger with metal arms or face violent death. Feng Shui Protector: (Only one of the following items will do.) Image of Sun Wukong [Monkey God], Image of Kuan Kong [also spelled as Guan Gong], Mantra Plaque, Elephant with Rhinoceros Image. 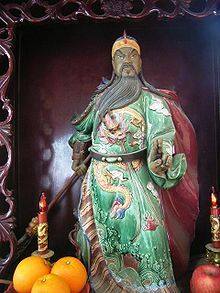 For people whose room is in the NorthWest and for Patriarchs (which includes leaders, head of the family, entrepreneurs, businessman, CEO) it is advisable to wear an image of Sun Wukong, Kuan Kong or a Mantra Pendant. 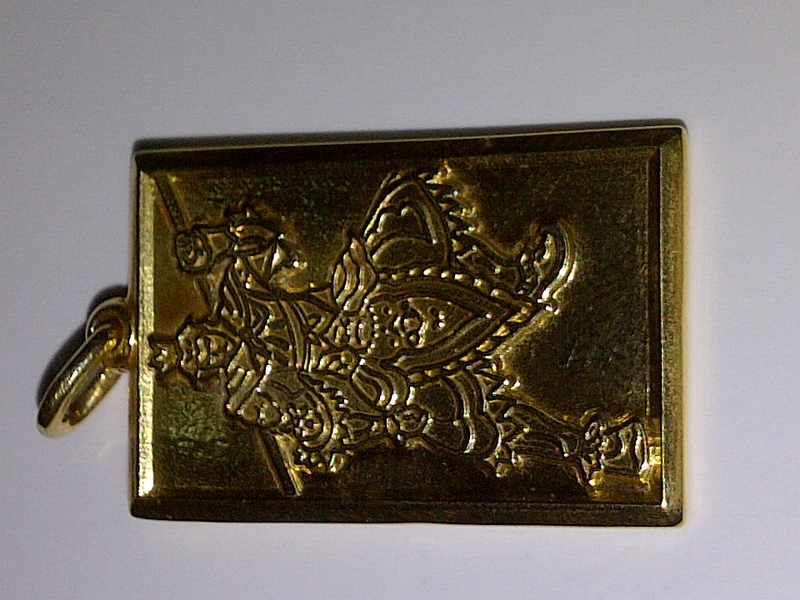 The WEALTH AND MASTER PROTECTION PENDANT is also advisable. 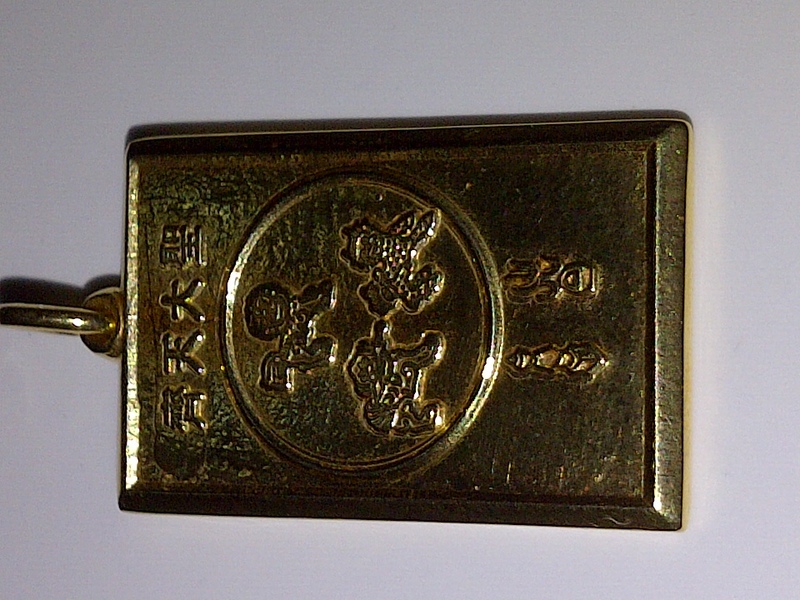 Front side of WEALTH AND MASTER PROTECTION PENDANT. This is an image of Sun Wukong. 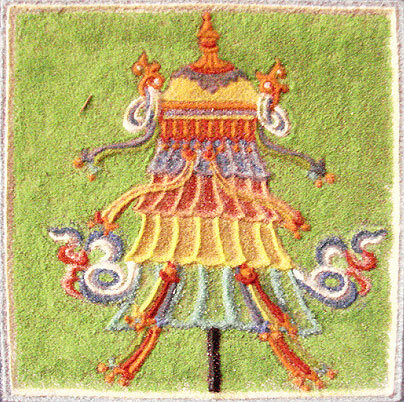 The other side of the WEALTH AND MASTER PROTECTION has the words ‘Great Sage, Equal to Heaven’ in Chinese characters at the top, followed by the 3 Celestial Guardians (Pi Yao – good for Tai Sui, Chilin, Fu Dog), then at the bottom are the image of the Ksitigarbha Fireball and the 5-Element Pagoda. Currently, I’m also looking into making a JADE WEALTH AND MASTER PROTECTION PENDANT, that is because Chinese loves jade. Effects: May cause relationship problems, numerous bickering, litigation, quarrels and problems/conflicts with authority. Matriarchs are also affected by this star regardless of whether they stay in the SouthWest or not. 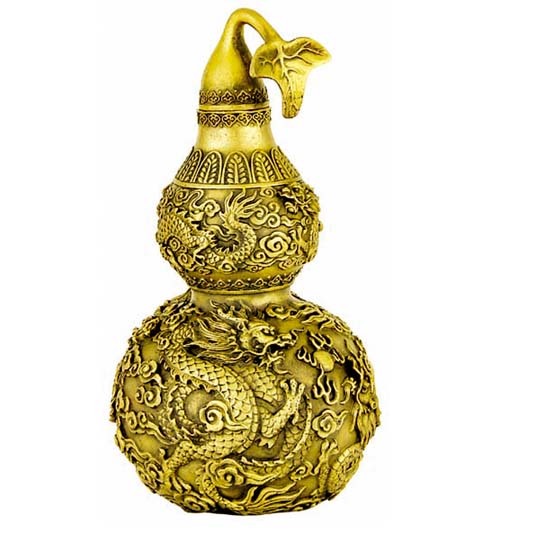 Feng Shui Protector: Ksitigarbha Fireball (place this is the SouthWest section of the house or room). For Matriarchs and/or if yur room is in this section of the house you can wear or carry the Ksitigarbha Fireball pendant/key chain. It will also be nice if you can wear a Maitreya (Happy Fat) Buddha pendant. 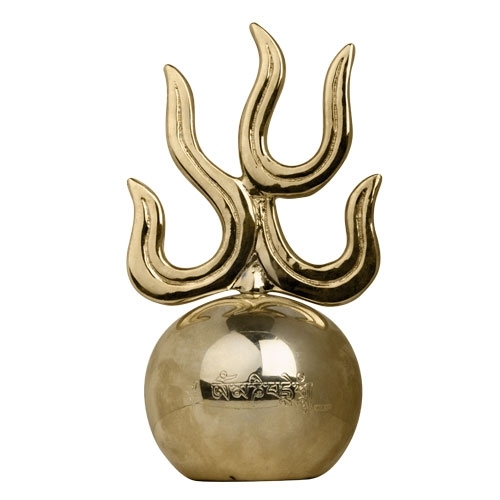 Ksitigarbha Fireball is a good Feng Shui tool to counter the effects of the Argumentative Star. Effects: As the name implies, this star causes illness and to some extent it can be fatal or terminal. Also affected by the star regardless of whether they stay in the North section of the house are the middle son and people under the year of the Rat. 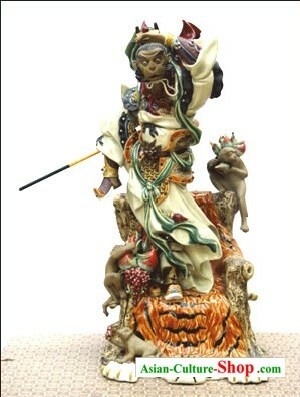 Feng Shui Protector: Wulou or Holy Gourd or Image of the Medicine Buddha. For people who stays in this section of the house or office, and for the middles sons and people born under the sign of the Rat it is advisable for them to wear a Jade Wu Lou pendant and/or a Medicine Buddha pendant [preferably with Mantra]. The Wu Lou or Holy Gourd is one of the best tool to fight the effects of the Illness Star. As much as possible try to get something that can be opened and hollow inside. You can then place the following items inside-3 tablespoon of Rock/Sea Salt, 1 tablespoon of incense ash from a Taoist or Buddhist temple, small unburned incense, Medicine Buddha mantra, and an paper amulet from a Sun Wukong or Kuan Yin or Kuan Kong temple. 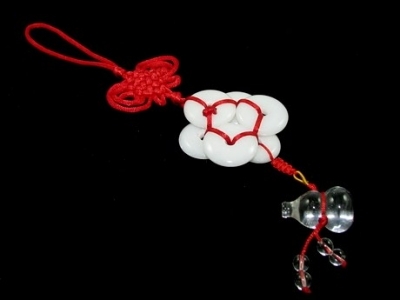 After putting everything inside seal it and tie a red ribbon around the Wulou. If this is not possible an ordinary Wu Lou works as well, the addtional ‘ingredients’ is just to make it more potent. Effects: The 5-Yellow Star is the worst of all the negative stars. It brings 5 different kinds of misfortunes and to make things worst, the Tai Suey is also in the SouthEast section. 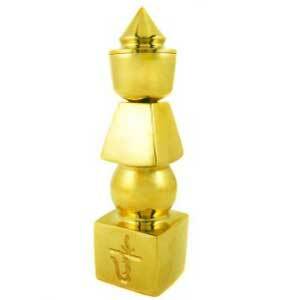 Feng Shui Protector: AS MUCH AS POSSIBLE MOVE OUT FROM THIS SECTION. 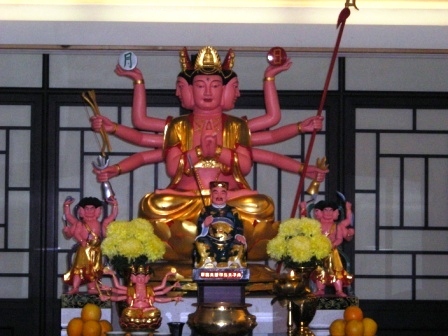 Five Yellow Pagoda, Image of the Goddess of the North Star [Dou Mu Yuan Jun] which has been blessed in a Taoist Temple [available by request], Image of Piyao. For people who stays in this section of the house or building, as mentioned, please move out. You also need the following Feng Shui tools-FIVE ELEMENT PAGODA PENDANT, PIYAO PENDANT or DOU MU YUAN JUN [GODDESS OF THE NORTH STAR] PENDANT. 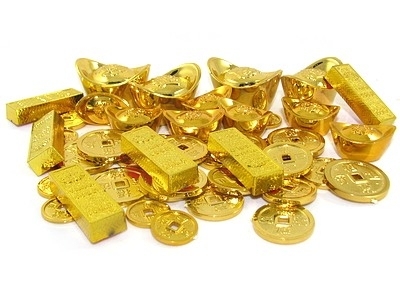 The WEALTH AND MASTER PROTECTION PENDANT is also a good Feng Shui tool. Feng Shui Tip: Keep the SouthEast as quiet as possible – no watching of TV, no renovations, keep the lights to a minimum, no playing in this section, no crystals, no digging, no burning of anything, no cutting. If your main door is in the SouthEast, try to use another door, if this is not possible please make sure you put plants flanking your main door and hang a 5-Element Pagoda on your door. Also put an image of a Piyao or Dou Mu Yuan Jun on top of the door. The 3 Killings flies to the South. Effects: If you notice the Flying Star 1 or White Victory Star is also in the South. This only means that whatever success the White Victory Star brings ‘may be’ negated by the 3 Killings. 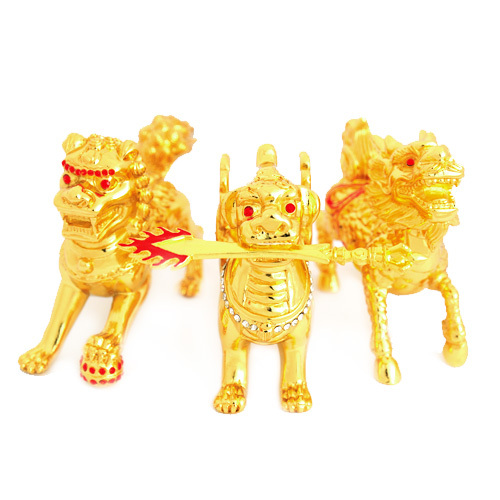 However, despite of the name, it is quite easy to deal with the Three Killings and as long as you put the Feng Shui tool to protect you from the 3 Killings you’ll be safe from this energy. .
Feng Shui Protector: Three Celestial Guardians (Place in the South section of the house, room or office). For people who stays in the South section you can also wear the image of the 3-Celestial Guardians or carry their image as a key chain. Please note that the official date of the Year of the Water Dragon is on Jan. 23, 2012, thus this will take effect on that day. There is another school of thought that regardless of the date of the Chinese New Year the Flying Stars moves to their new section on Feb. 4 every year of the Western calendar. I personally don’t believe this. I think this is just a tool for Feng Shui experts to make everything easier. It doesn’t make sense that everything else in base on the Lunar Calendar except the movement of the stars.